With over 31 years of experience, we have an unsurpassed understanding of your apartment lending needs. Ocean Pacific Capital has direct access to the financing programs of a large network of the world's most aggressive lenders for apartments. We have been in business since 1977 financing commercial and apartment loans. 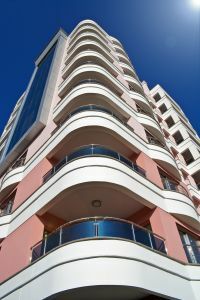 Ocean Pacific Capital offers substantial cost savings, as a one source solution when searching for the right apartment lender and commercial lender. We serve your interests by placing your loan with the appropriate apartment lender and will work with you to efficiently close your loan. With a focus on a wide range of commercial mortgage loans from $500,000 to $800 million plus, we offer a diverse mix of loan products and loan scenarios that will meet your needs and exceed your expectations. We understand what it takes to close a commercial loan, especially apartment loans, because this is what we've been doing since 1977. And as always, we strive to exceed our client's expectations because our success is measured by your success. Our responsibility is to get your loan processed, underwritten and closed in a timely fashion. If you are unsure about the process of obtaining financing from an apartment lender, let us help you. Our commercial loan specialists will be more than happy to answer any questions that you may have. Call us today to get started!